Silk is a great option for bridal fabrics and other luxury fabric needs, and can often be found at a fabric outlet. If you’ve recently purchased silk fabric at a fabric store in Berkeley , you should make sure that you know the proper way to care for it. When silk fabric is well cared for, it will stay beautiful for a long time. Avoid exposing your silk fabric to perfumes, deodorant, or bleach, as they can stain your silk fabric. Silk fabric should be protected from prolonged exposure to direct sunlight. When ironing silk fabric, only iron the backside of the fabric, and do not spray the silk with water. The iron should be set at a low temperature, and should preferably be on the silk fabric setting, if the iron has one. You do not have to dry clean silk fabric, but you should take care when washing it. Do not use water to treat stains on silk. You can clean silk fabric by soaking it in warm water with a mild soap for no more than five minutes. Do not wring the fabric dry when removing it from the water. Instead, wrap it in a dry towel to remove excess water, and then lay it on a flat surface to air dry. While choosing the perfect wedding dress may seem like the most important decision surrounding your big day, it doesn’t have to be the most stressful one. 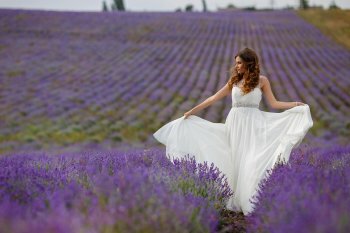 Whether you’re buying a ready-made dress, or hitting up your local wholesale fabric store in San Francisco in search of bridal fabric for a custom tailored creation, here are some tips that will guarantee that you end up with a dress you love. Everyone around you will have an opinion as you’re trying on dresses. Ultimately, what matters is that you choose a dress that’s right for you. You’re the one who has to wear it on the big day, and appear in it in thousands of pictures. While trying on dresses, take note of how the cut, fit, bridal fabric, and silhouette make you feel. Are you comfortable? Do you feel beautiful? If so, that matters far more than anyone else’s opinion. Everyone has certain styles that they favor when picking out clothing. You may be tempted to go against your typical fashion preferences when choosing your wedding dress; if so, you may not feel like yourself when you wear it. For instance, if your closet is full of romantic vintage clothing, find a wedding dress with a vintage look. There are limitless options out there for your wedding dress, and you shouldn’t settle for one that doesn’t fit your personality or fashion sense. A custom-made wedding dress doesn’t have to cost a fortune. In fact, many end up being cheaper than those bought off the rack. If you or a relative know how to sew, you have endless wedding dress possibilities at your fingertips. Visit a discount fabric store, where they’ll have an array of bridal fabric, including silk fabric, tulle fabric, lace fabric, and velvet fabric. 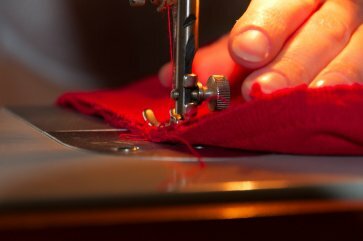 If you can’t sew, you can find a local seamstress, or look one up online. 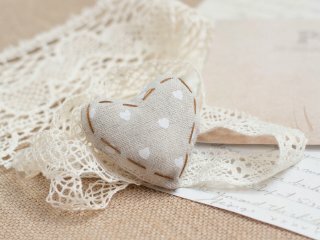 If you provide your own wedding fabric, you may even get a discount. Are you getting ready to reupholster a couch or other piece of furniture? With such a huge selection of upholstery fabrics in Berkley , it might be hard to choose the right one for your needs. 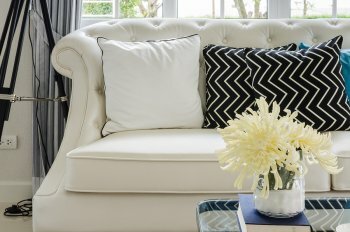 Use this guide to learn about upholstery fabrics and how they can enhance your interior design. If you are looking for a more formal fabric to dress up a certain room of your home, you may want to opt for brocade fabric. This fabric looks similar to embroidery and usually features a floral pattern. If it is used for upholstery, it has to be tightly woven to resist wear and tear. You should not use it on furniture that you use often, or it might become snagged. This upholstery fabric is better for furniture that you use often. It is soft and inviting, which makes it the perfect option for your favorite couch or chair. Chenille is usually made from cotton or cotton blends. As long as it is backed, it will stand up nicely to wear and tear. Cotton is one of the most durable and versatile fabric options to use for upholstery. Cotton resists fading in sunlight and it is easy to clean. It is also one of the more affordable fabric options. Cotton is a smart option for furniture that you use on a regular basis, especially if you have children or pets. This unique fabric is a wool yarn embroidery. It is usually stitched with motifs like flowers, birds, and other natural scenery. Since the pattern takes up so much of the fabric, crewel looks best on flat surfaces. This classic style uses matte weaves to create beautiful and reversible fabrics. Damask fabrics were once made of silk, but today, they are often made from stronger materials like rayon, cotton, or blends. You can use damask in rooms in which you want a slightly more formal appeal, but still plan to use the furniture often. Damask looks beautiful but still offers durability to help you avoid major wear and tear. Discount Fabrics can help you find the right fabrics for all of your needs. Whether you are taking on a large project or just want to update something in your interior design, it is always helpful to have access to our huge array of fabric. Keep reading to find out how we bring you the best selection of quilting fabric in Berkley to help you with projects of any size. Our fabric outlet brings you a wide range of fabric options that can be used for any quilting project. From textiles to blends, we can help you find the exact fabric that you need. Whether you want to create a soft quilt or one with more texture, we have something for you. Visit our fabric store today to check out our textiles, blends, patterns, textures, and designs. Whether you are an expert quilter or are preparing to create your first quilt, our amazing selection of fabrics is sure to provide you with the materials you need. With the help of a fabric store and a regular bra, you can create your own belly-dancing bra that helps you add your personality to your next routine. Buy a regular bra with a stiff cup and cut off the straps that make it look like a normal bra. Find some fun accessories at the fabric store like sequins and beads and cover the front of the bra with them. Use ribbon or a different material as the new straps. Check out this video for more tips on creating your very own belly-dancing bra. Whether you want to add unique appeal to your belly-dancing costume or you want to overhaul your home décor, the fabric store in San Francisco has plenty of materials that can help. Spend some time browsing through the fabrics and accessories to find materials that can enhance every facet of your life. Before you can get started constructing the uniforms, you have to stock up on quality materials. Spandex and Lycra are popular fabrics to use for dance uniforms because they are stretchy enough to move with the dancer. They are also versatile enough to create a wide variety of uniform styles. Talk to the staff at the fabric store about your uniform needs and they will direct you toward fabrics that help you create stylish and functional uniforms for your dance needs. Dance fabrics require different kind of attention than other materials like silk or cotton. You should always think about how the material will wrap around the body before you start to cut the pattern. When you pin it, make sure that the pins are inside the seam allowance otherwise you might create unnecessary holes in the material that ruin the aesthetic of the final product. Add some personality to a dance uniform with fun embellishments that make it completely unique and eye-catching. From feathers to sequins, these small details will make a huge impact toward the overall look of the dance uniform. Embellishments also help you create a connective thread between different uniforms so you can still have a theme even if the dancers are wearing different outfits. Whether you already know how you want to create dance uniforms or you need a little bit of guidance, your fabric store in San Francisco can help you choose the right materials and accessories with which to create something really special. Spend some time browsing through the store until you know exactly how you want to proceed with your uniforms. If you are getting married, you can take advantage of the impressive selection at the fabric store by finding the right materials to use to create your ideal looks for your bridal party. From silk to lace, there are plenty of wedding fabrics that give you the chance to create the exact looks you are picturing for your special day. When you are in charge of planning a formal event like a political dinner or a corporate gathering, you have to think about the way the décor comes together to create a particular feeling. Choose table linens, drapery, and other kinds of decorative fabrics that will help you incorporate a particular theme into your event. Whether you are going for a patriotic atmosphere or want a simple, modern look, the right fabrics make it easy to decorate for your needs. The fabric store is a great resource when you are trying to put together a children’s party. From burlap to cotton, there are plenty of fun fabric choices that help you enhance the lively appeal of your next children’s party. If you want to throw a costume party, you can find fabrics that give you the starting point for the perfect outfit for your little one. No matter what kind of special event you are planning, your fabric store in San Francisco can help you do it right. From costume to apparel fabrics, take your time choosing materials that help you put together a cohesive and stylish gathering for your next big event. Before you can start to sew, you must collect the tools you need to create some clothing or upholstery out of pieces of fabric. If you are sewing by hand, you should have straight pins, sewing needles, shears, and a seam ripper. A tape measure helps you make accurate measurements. You should also get a seam gauge, a clear gridded ruler, fabric marking pens or pencils, thread, and a thimble. If you are using a sewing machine, though, you need the machine, needles for the machine, bobbins, a presser foot, a zipper foot, a small screwdriver, sewing machine oil, and a small brush. Once you have all of your sewing tools, you should visit the fabric store to find materials that allow you to create beautiful pieces. Choose a few different kinds of fabric like silk, tulle, fleece, and lace so you can practice your new sewing skills on a variety of canvases. Once you start mastering your sewing ability, you should always have fabric on hand so you can sew whenever you get the urge. You should never feel rushed while sewing. Especially when you are just starting, take your time to ensure that you get every thread right. 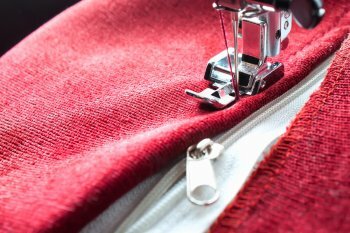 Whether you are sewing by hand or using a machine, going slowly is the best way to make sure you create something that is beautiful and well made. Start your sewing journey at the fabric store to get the materials you need to create beautiful clothing and upholstery that you can use in your life. The right fabric is the foundation of any sewing project.